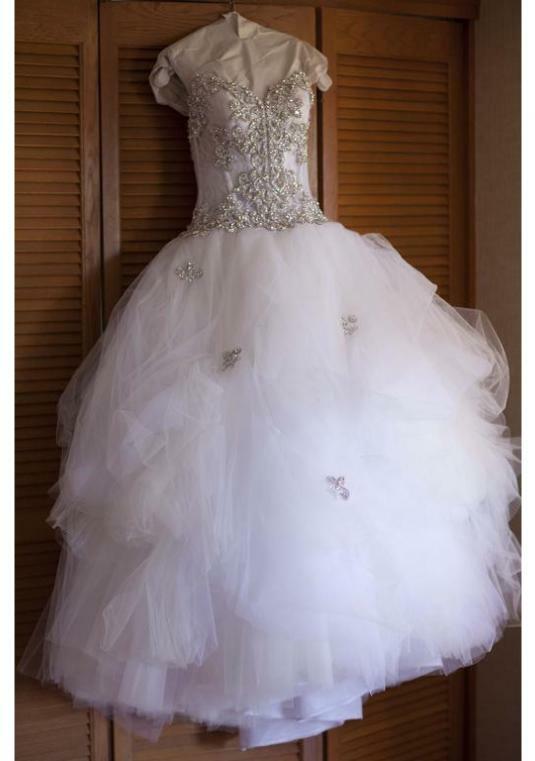 This is a custom made Pnina Tornai dress that I bought at Kleinfeld. 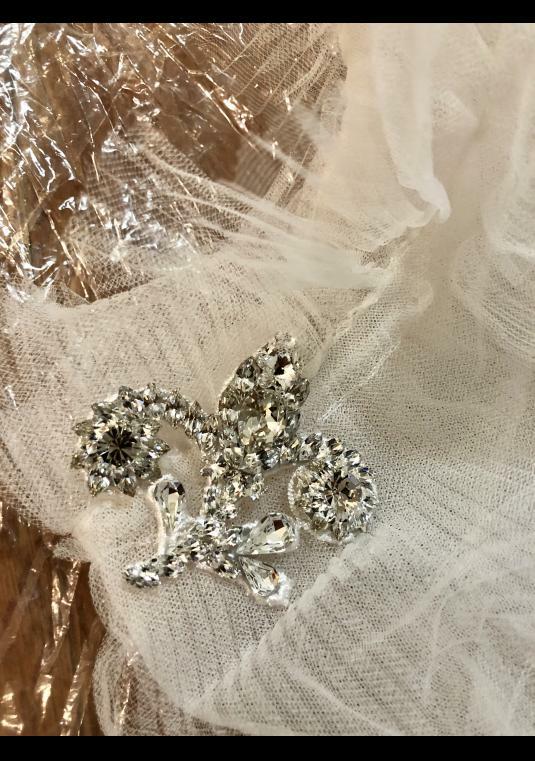 Pnina was in the store when I tried on two dresses that I really liked. She offered to combine her two different styles to make the dress that I wanted. 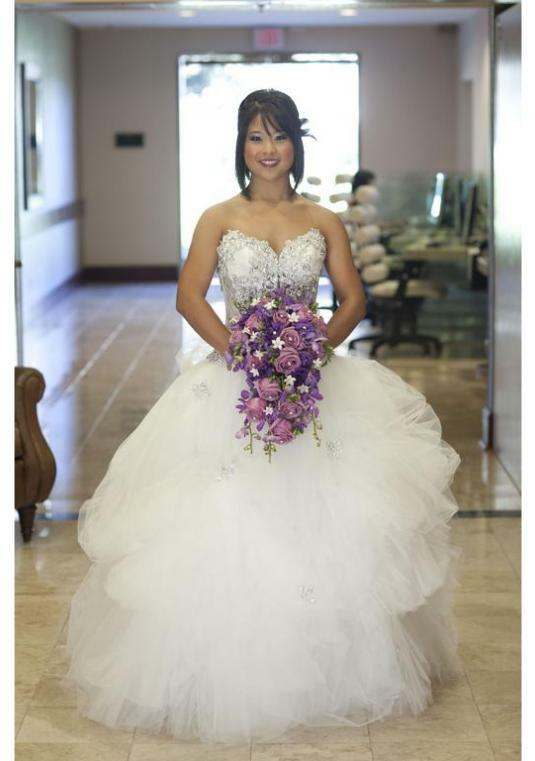 It was the bodice with beautiful hand crafted Swarovski Crystals of one dress and the skirt of another. 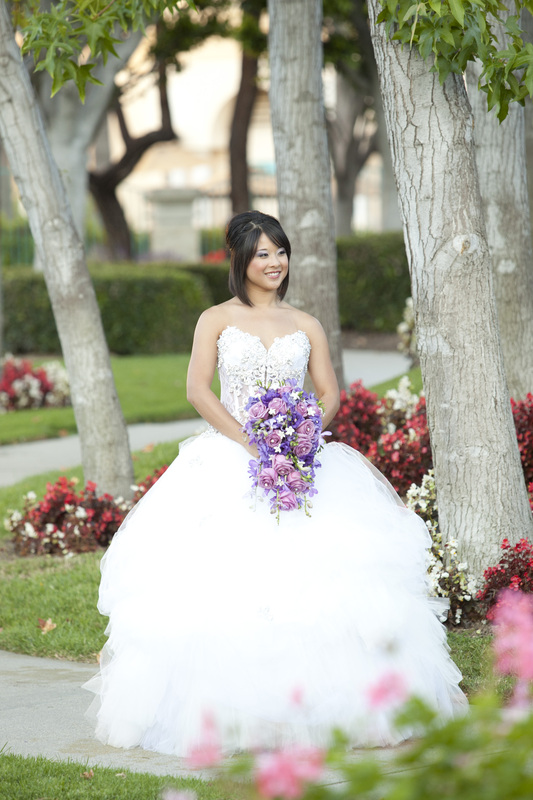 The bodice is encrusted with Swarovski crystal layered on top of a chantile lace. 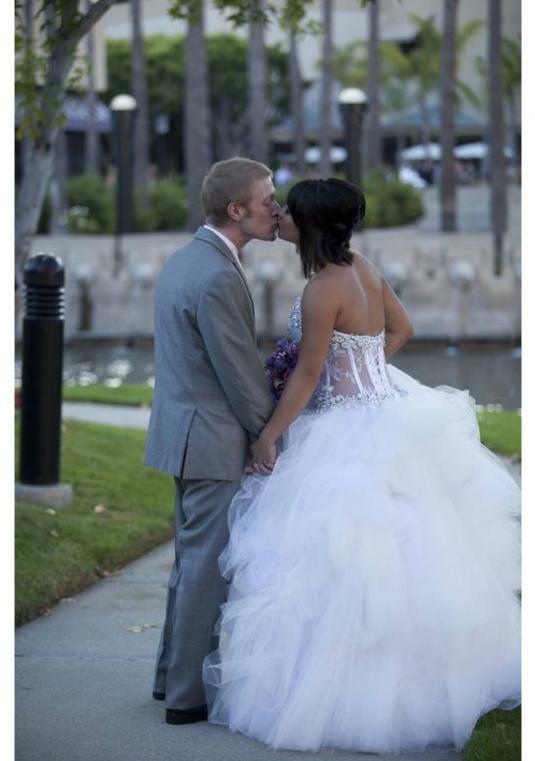 It was such a dream to have her there while I decided on the perfect dress. 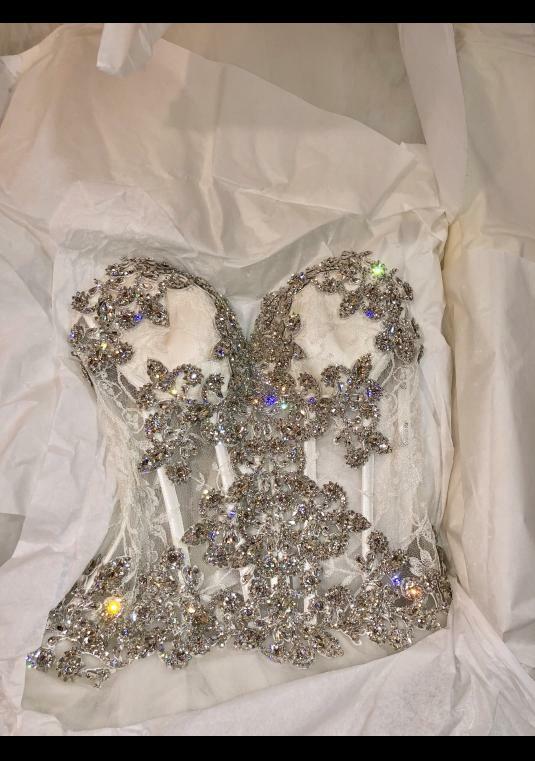 It&#39;s a one of a kind Pnina Tornai dress! Dress can be authenticated to any potential buyers! 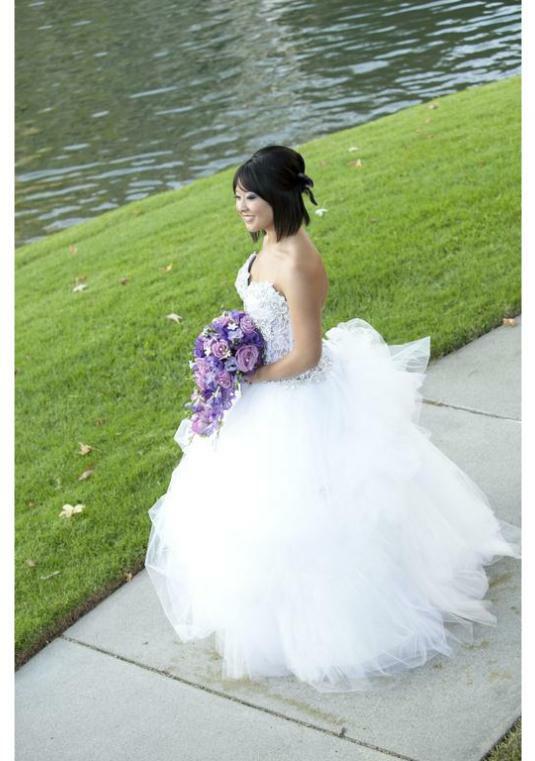 The dress was sent to the cleaners immediately after my wedding in August 2011. It has been in a sealed box ever since. Preservation Method: The dress was sent to the cleaners immediately after my wedding in August 2011. It has been in a sealed box ever since. Favorite memory in dress: This dress is one of a kind. Pnina was at Kleinfeld when I was trying on dresses and she agreed to mash-up two of her designs to make the perfect dress for me. 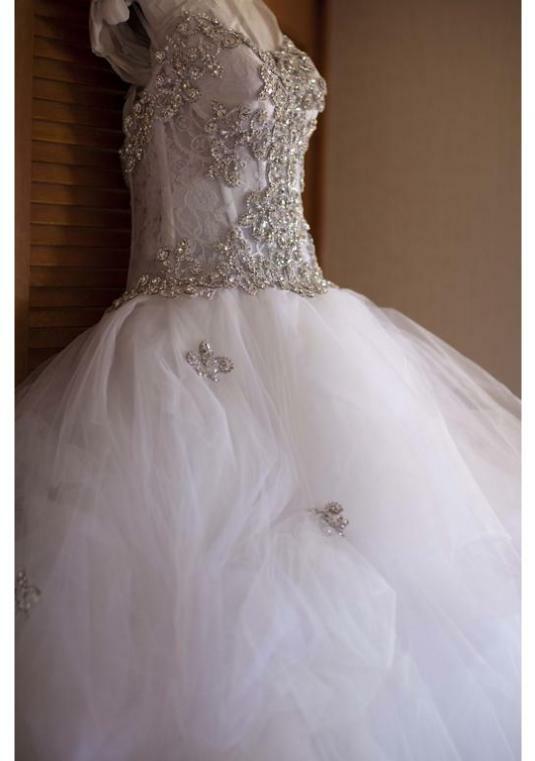 It is unique and no one else will have this dress!